Orthodontic treatment is the process of straightening teeth. Gentle pressure is applied to your teeth over a period of months, gradually moving your teeth into the proper position. 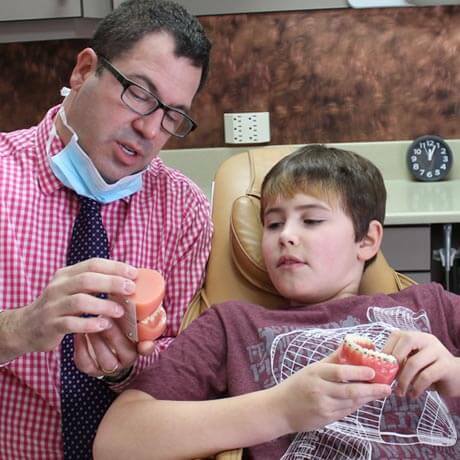 There are several reasons that your dentist may recommend orthodontic treatment. The most common reason is to improve the function of your teeth. If your bottom and top teeth do not fit together properly, you may have what is called malocclusion or bad bite. This includes overbite, under bite, cross bite and open bite. In some cases, a bad bite can make it difficult to chew or can cause your teeth to wear down. It can also lead to muscle tension and pain. It is also important to note that crooked teeth are more difficult to clean. This increases the risk of developing cavities and gum disease. Some patients request orthodontic treatment to improve the appearance of their smile. You may not have a bad bite but are unhappy with crowding, spacing, or rotations. It is common for orthodontic treatment to be done for cosmetic reasons. Most people think of orthodontic treatment as braces, but that is not always the case. 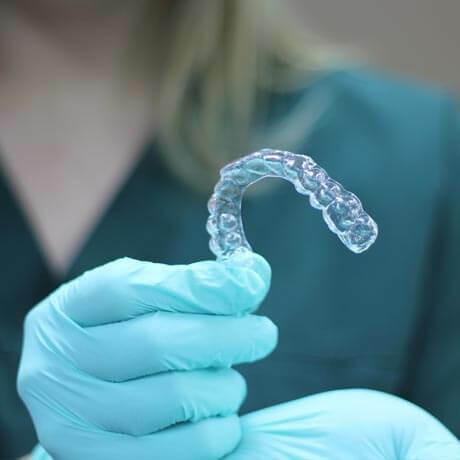 At the Fort Frances Dental Centre and Emo Dental Clinic, we also offer clear aligning trays - a virtually invisible alternative to traditional braces. A series of clear, removable trays gradually move your teeth into the correct position. Because the trays are removable, you are able to eat, brush and floss as you would normally. Treatment options, lengths and costs vary for all patients. Call to book your free consultation and see if braces or clear aligning trays are right for you.